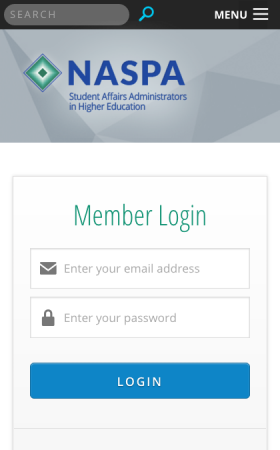 Discover how we built an engaging, responsive website for over 13,000 student affairs professionals. 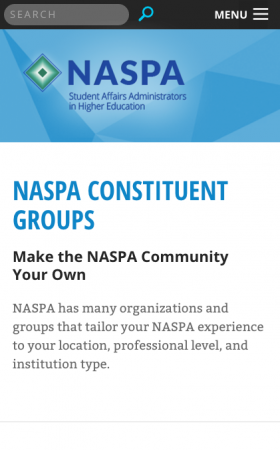 NASPA is an organization of more than 13,000 student affairs professionals from around the world. Not only do they host over 60 events a year, but members active post blogs and write scholarly articles on topics relevant to higher education, including public policy, equity and diversity, and the growth of technology. 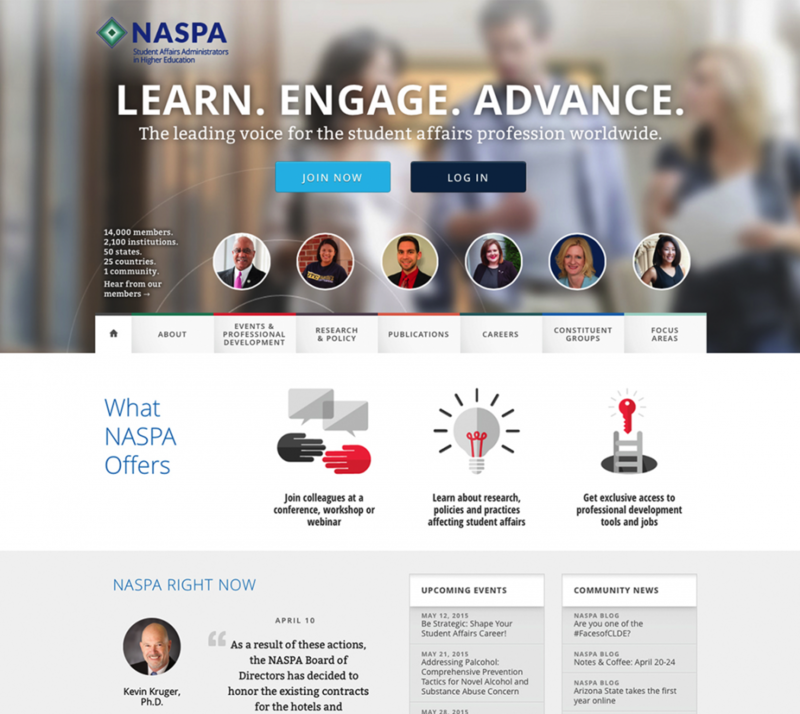 Struggling to serve its growing member base, attract new student affairs professionals, and fulfill the needs of its independently-run smaller communities, NASPA approached Adpearance for a thorough planning, development, and redesign of its website. It was clear almost immediately that a new website with a robust strategy, personalization, mobile optimization, and beautiful design would be transformative in the higher education industry. 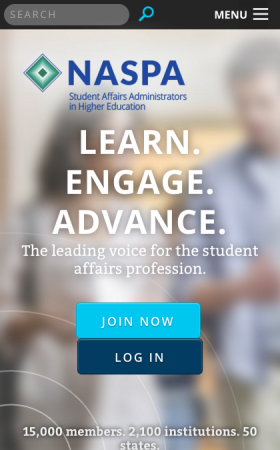 Together with the amazing team at NASPA, we built a site that not only speaks to its members, but allows them to engage and connect with each other. In addition to a secure and user-friendly content management solution for NASPA's 60+ volunteers, we brought together events, online learning, community and regional group pages, a bookstore, research articles, awards and grants, and much more under one central site. 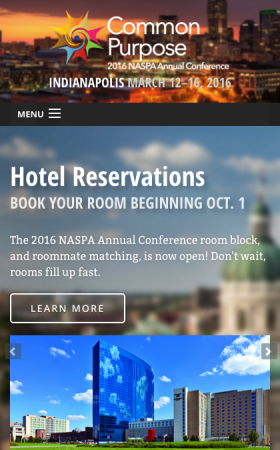 Furthermore, we created a microsite for their largest event—the NASPA Annual Conference. 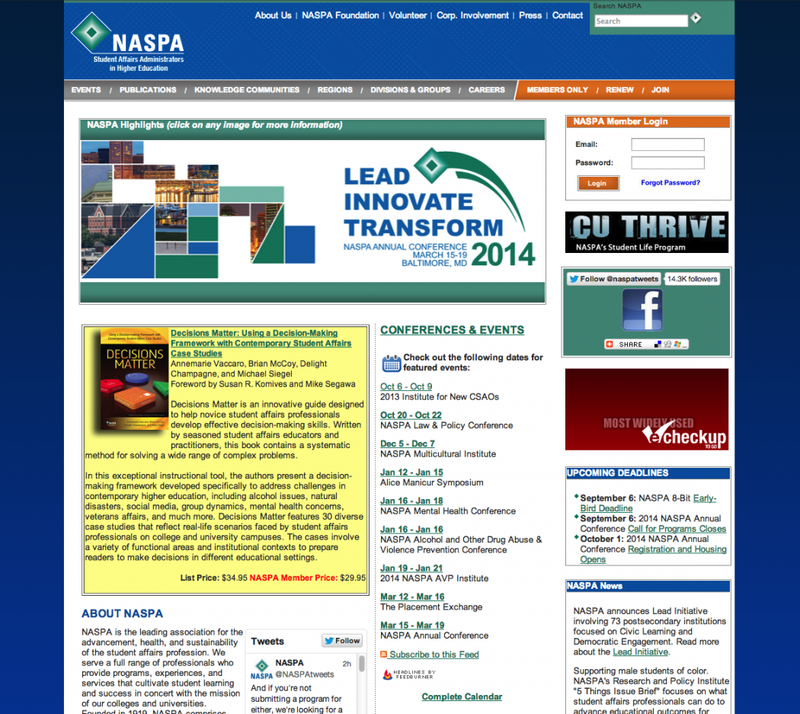 The homepage was meant to better show who NASPA is and who they serve. Additionally, because NASPA is a people-centered organization, tying real people into the design was a priority. The Annual Conference is NASPA's largest event of the year. To ensure it could showcase the full spectrum of programs, topics, and speakers, we created a robust subdomain for the Annual Conference. NASPA hosts many types of events throughout the year. We create a robust way to view and search for events by topic, location, and date. Like what we did for NASPA?